It has been an honor to have Paul as a mentor in the process. In late June 2013 we flew to Toronto to meet him. What resulted was quite a thorough code review of NoFlo’s FBP implementation, and a video interview. The interview with Paul is finally online. Enjoy! 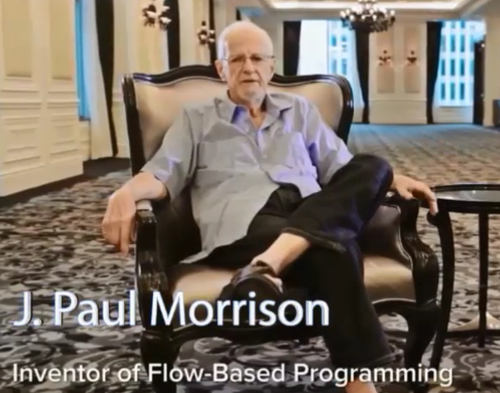 If you want to meet Paul in person, the next opportunity will be in the Toronto Flow-Based Programming meetup on September 11th. On the same week we also have my NoFlo talk in Zurich on the 10th, and Forrest’s talk in Berlin on the 14th. In other news, the NoFlo Kickstarter campaign just hit 96%. 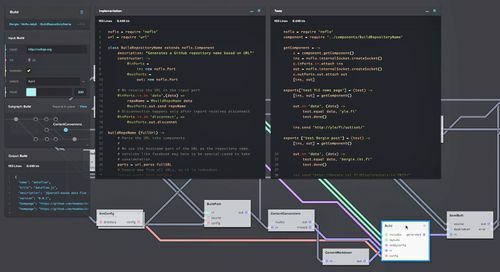 Please help us get it funded so we can bring better flow-based tools to designers and programmers everywhere!